Always a part-time musician, Ian Bell has none-the-less performed professionally across Canada and in the United States for over a quarter century. On his own and with a number of ensembles he has appeared at numerous folk festivals (Winnipeg, Mariposa, Edmonton, Ottawa, Yellowknife, Owen Sound, Lunenberg , Montmagny, and others) and in concerts in every sort of venue. With his group Muddy York, and along with Wade Hemsworth (composer of the Blackfly Song, Log Driver's Waltz), Ian performed for two weeks in the Folklife Pavilion at Expo 86 in Vancouver, BC. In 1993 Ian was named "Folk Artist in Residence" for that year at Joseph Schneider Haus Museum, in Kitchener, Ontario. In 2004 Ian performed as part of the "Roots of American Music" Festival at Lincoln Centre in New York City. 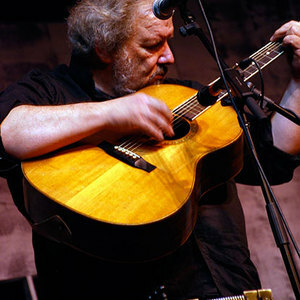 In July 2005 Ian travelled to Estonia with long-time collaborator Anne Lederman to perform at the Viljandi Folk Festival. Ian appears on dozens of recordings as sideman as well as several under his own name. Ian's most recent CD is Shallow Water which was released in November 2006. For much of the past 30 years, Ian Bell has taken his music from coast to coast through concerts, broadcasts, and recordings. Ian captivates audiences by introducing some of Canada's seldom-heard musical traditions into his music. He has been the leader of The Dawnbreakers, and Professor Chalaupka's Celebrated Singing School, and with Anne Lederman was part of the seminal Canadian folk group Muddy York. Ian still plays regularly for old-time square and contra dances across Southern Ontario.